This time I got button mushrooms and wanted to make something Indian with it. Fry the mushrooms lightly in the oil and keep them aside. 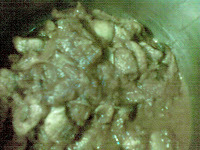 In the remaining oil add the whole spices and let them splutter.Add onions and fry till they are moist. 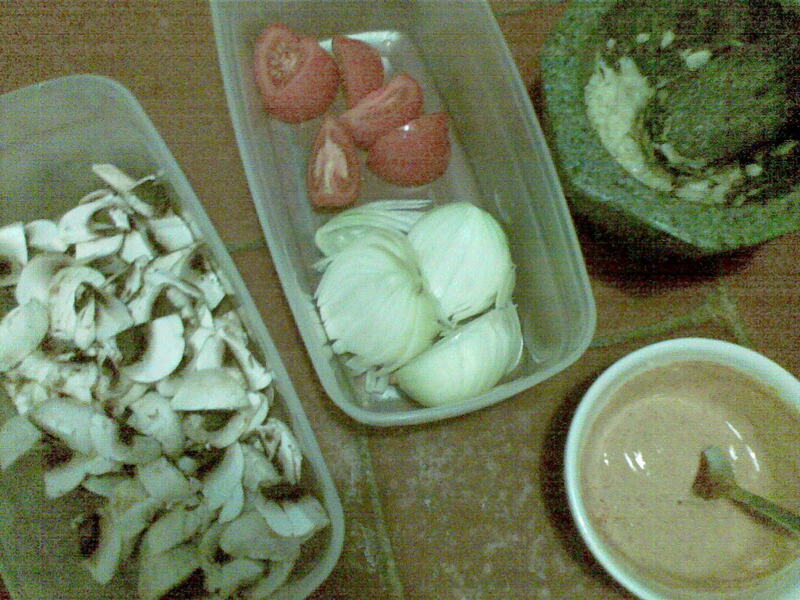 Add the ginger-garlic paste and fry till evreything is light brown. 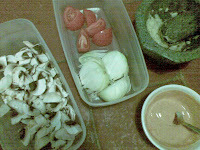 Add the tomato and fry till the paste becomes dark brown. Then add the masala with a little water. Mix well till the oil seperates. 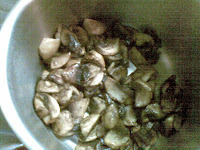 Add the mushrooms and 1/2 cup of water.Coat the mushrooms with the masala.Cover and keep for a minute on medium flame.Add Ghee.Serve hot.